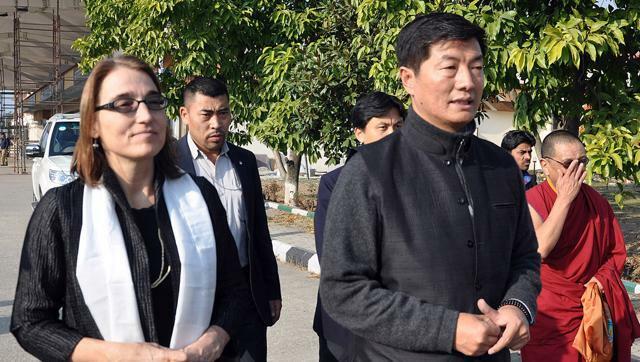 (TibetanReview.net, Jan17’16) – Undersecretary Sarah Sewall, the US government’s Special Coordinator for Tibetan Issues, has visited the exile Tibetan administration at Dharamshla, India over Jan 15-16. And she has met with Tibet’s exiled spiritual leader, the Dalai Lama, besides the Tibetan administration head Sikyong Lobsang Sangay. The purpose of the visit, said the exile administration on its Tibet.net website Jan 15, was to discuss issues of importance to the Tibetan refugee community. Ms Sewall, whose Tibet responsibility comes from her position as undersecretary for civilian security, democracy and human rights, led an eight-member delegation. She was also scheduled to meet with Indian officials to discuss areas of mutual concern, including violent extremism, migration, and the protection of citizens from trafficking and slavery, reported Reuters Jan 14. Concerning her visit to Dharamshala, the US State Department has said in a press statement, “Under Secretary Sewall, in her role as Special Coordinator for Tibetan issues, travels to India and meets Tibetans from all walks of life to discuss ways to preserve Tibetan culture and promote educational opportunities for all Tibetans.” She was also reported to have met with representatives of Tibetan NGOs to discuss issues of gender equality and women empowerment in exile. Besides, she has also interacted with the Tibetan youth and discussed with them their role in the Tibetan struggle. Earlier, in Delhi, before arriving in Dharamshala, Sewall was reported to have expressed concern over recent incidents of violence in India against religious minorities, urging national leaders to be vigilant in protecting the right of Indians to freedom of worship. He remark came as she visited a mosque, church and Hindu temple in Delhi, said the Reuters report. 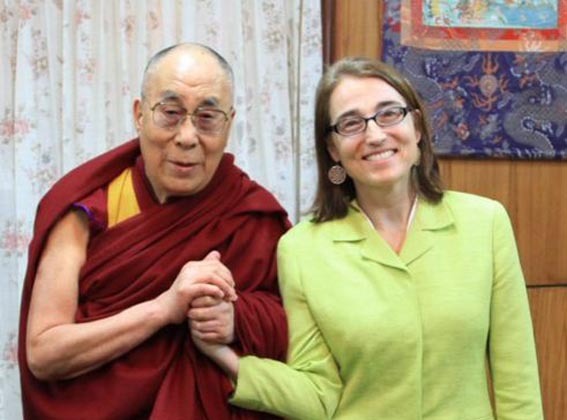 Sewall has previously visited Dharamshala in Nov 2014, following her appointment on Feb 20 that year.